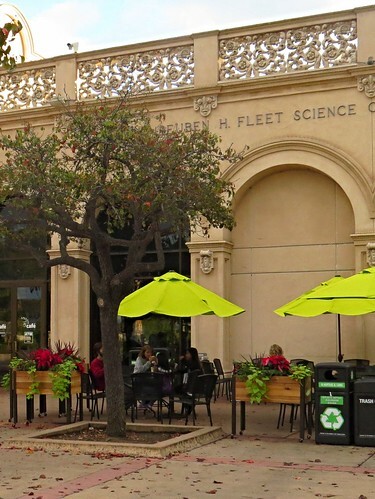 Festive poinsettias have made an appearance recently at the Fleet Science Center in Balboa Park. 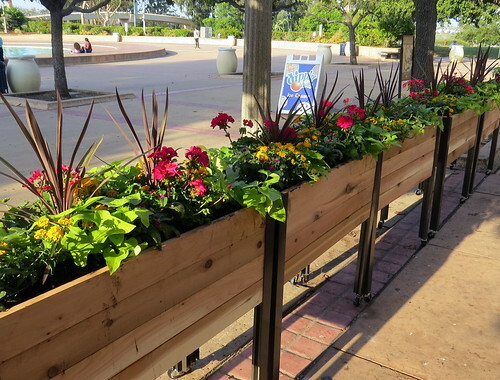 They were installed in the new sub-irrigated planters outside Galileo's Cafe. They look great! They are the only poinsettia display I have seen in the park so far. I am, however, seeing other preparations for the "December Nights" celebration (previously known as "Christmas on the Prado") scheduled for later this week. Way back when I was in the business, the annual poinsettia displays by customers were the Excedrin headache of the year for interior plantscapers. Maintaining poinsettias in low light can be tricky. 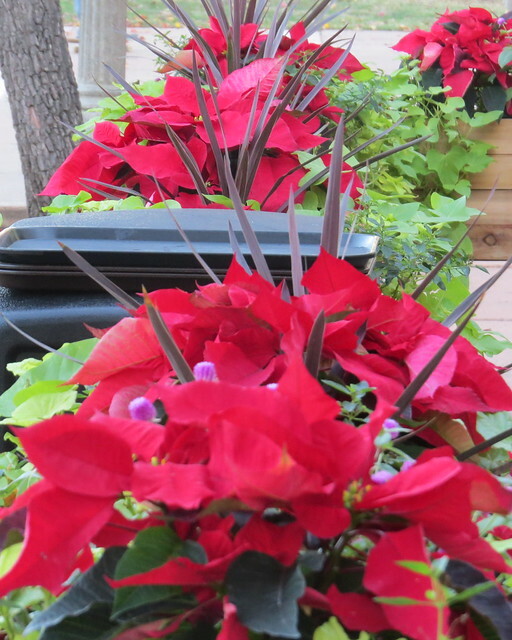 "Poinsettias down" were dreaded phone messages prompting immediate action during the busy holiday season. We all heaved a big sigh of relief when the holidays were over and we could remove them. It was then post-holidays party time for us! 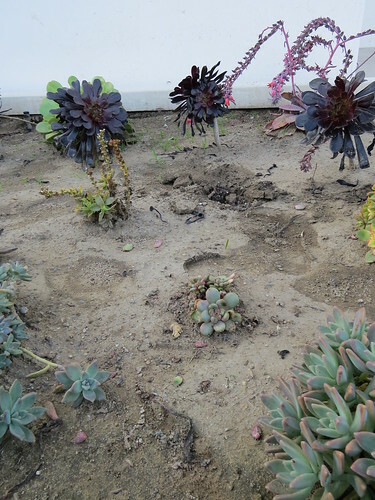 Fortunately, these plants are outside under adequate light during the day and rolled inside the museum at night. I am most interested in seeing how they hold up over the holiday season. Great to see them! I've not seen one word in the local media or any other PR about this creative, water conserving installation. 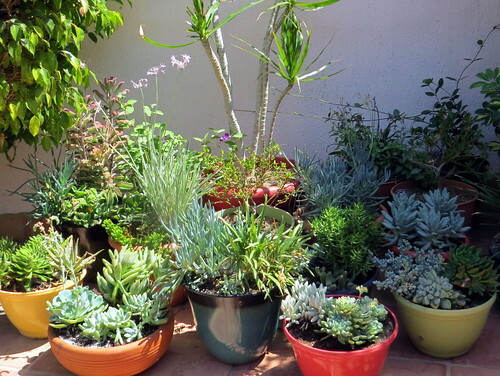 Knowing the disdain that local no-tech gardening ideologues and garden centers have for so-called "self-watering" (more accurately sub-irrigated) planters I am surprised but not shocked by this. The consumer gardening trade is built on consumption rather than sustainability. 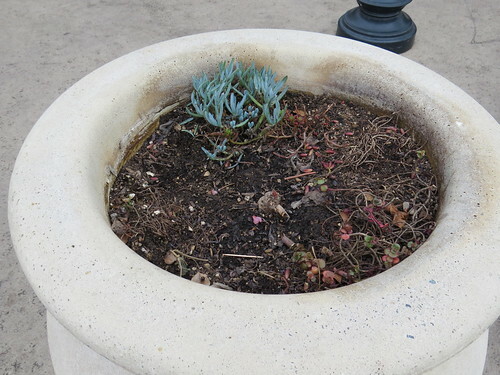 Due to budget cutbacks related to the maintenance of the plants in Balboa Park, too much of the horticulture is now controlled by amateur gardening volunteers. The much publicized "Adopt a Plot" program for example has been a visible failure. I see the results on my daily park walk. 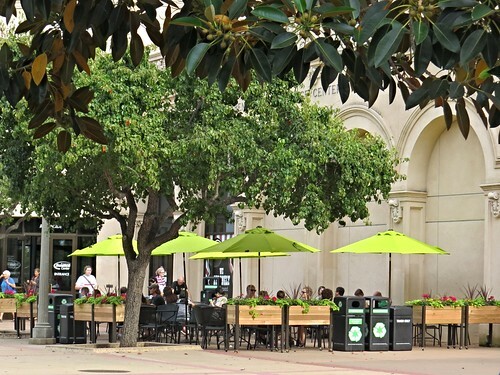 What is happening at Balboa Park is evocative of what happened to New York Central Park back in the 1970's. 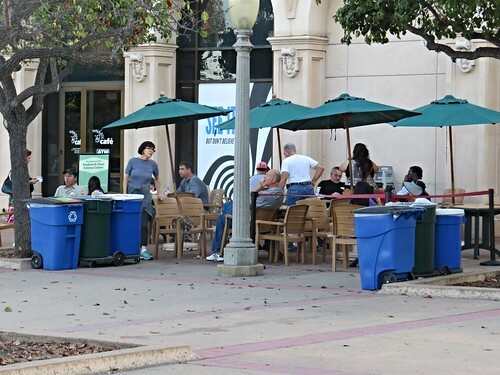 The park was a mess and the city was on the verge of bankruptcy. Those were the days of graffiti covered NY subway cars and uncontrolled rock concerts in the Park. Then, new Mayor Ed "How am I doing" Koch came to the city's rescue in 1978. He spearheaded the formation of the Central Park Conservancy. The Conservancy now raises 75% of the parks annual budget and is responsible under contract for keeping the Park as beautiful as it is. The Conservancy has sole responsibility for Park maintenance with oversight by the City and NYC Department of Parks and Recreation. There is no finger-pointing in four different directions and "management by committee." The Conservancy is "it". It is measured by and paid for performance at a high level. 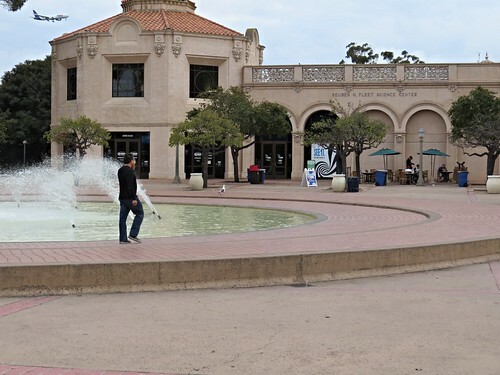 I often read about how Balboa Park is larger than Central Park. That's hardly the way to measure great parks. With the continuing drought and funding shortages a day of reckoning is most likely on the way for this jewel of San Diego. As we know, even fine jewelry tarnishes without proper care. This was the neighborhood scary grand prize winner on my Halloween evening walk home from Balboa Park. There was no close second prize.